Kyadondo East MP, Robert Kyagulanyi Sentamu AKA Bobi Wine is currently receiving healthy treatment in United States of America. He recently shared what happened to him ever since he got caught up from Arua by the military personnel up to the extent of reaching Kirudu hospital. 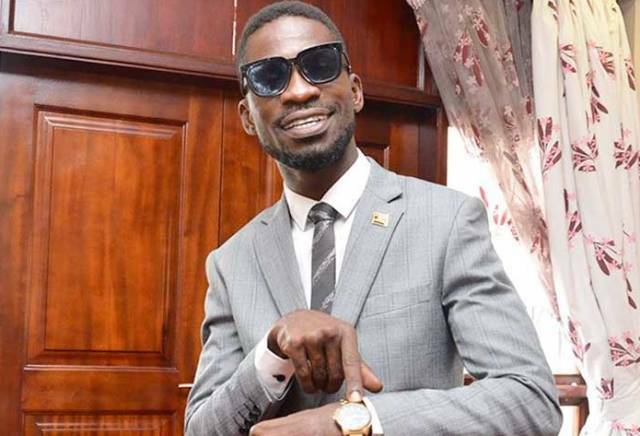 Therefore, Bobi Wine at-last released an official press statement on Facebook yesterday while narrating the suffering he passed through the section of the Ugandan security forces. Bobi Wine explained everything in a press statement yesterday. I Bobi Wine address you all as lovers of peace and compatriots in the struggle for justice, human rights and good governance all over the world. Your response to the events in Uganda these past days has made me believe more than ever that those who believe in the basic dignity of every human being are many more than those who trample upon it or rejoice in its violation. A few days ago, I Bobi Wine released a statement in which I narrated the torture, suffering and indignities that I was subjected to by a section of the Ugandan security forces. I have received numerous messages of support from around the globe. Well me Bobi Wine i was eternally grateful for those messages and feel emboldened in our pursuit for better governance in Uganda. I am grateful to the medical professionals both in Uganda and here in the United States who have attended to me since my brutalisation. Although my body is still weak and I continue to receive treatment and further diagnosis, my resolve is stronger and my hope for a better and democratic Uganda has never been so high. I feel obliged to note that many Ugandans have and continue to go through worse experiences than myself. If they can do such things to members of Parliament and other public figures, we can only imagine what they do to ordinary citizens in their custody away from sight. Many have paid the ultimate price. Like many other political activists in the past, my friend and driver Yasin Kawuma was murdered in cold blood. Shaban Atiku is permanently disabled. Night Asara Eyoru, a young mother who had just had a C-Section, was badly beaten. She appeared in court with a discharge from her private parts and a broken leg. For over four years, Sam Mugumya, a political activist and Dr. Besigye’s former assistant has been languishing in the prisons of DRC. Ugandans watched the images of my bartered and bruised colleague Hon. Zaake Francis in shock. Hon. Mwiru Paul returned to Parliament with a broken arm. Many have been framed with all manner of charges and kept behind bars for years. These are the sufferings those who have dared to stand up for our nation’s redemption have gone through. I am privileged that my brutalization caught the attention of so many, but many more people have had to endure worse experiences and I call upon the world to stand with all of us. Today, I called this press conference mostly to appreciate the world for standing with Uganda in this period. I am very grateful that people across continents appreciate the cross roads at which our nation finds itself. While incarcerated in the heart of military facilities, I was unable to appreciate the massive support of our struggle from around the world. Since being released on bail, I have read countless messages of support online and by mail. I am very humbled to see all the support rendered to us from all over the world. I am emboldened by the people of Uganda who have understood our message that power lies with them. Despite state intimidation and repression, they have persistently been vocal in saying that the power of the people is more powerful than the people in power. Our brothers and sisters from fraternal African countries who share our dreams and aspirations- Thank you! From Kenya to Nigeria. From Zambia to South Africa. From Djibouti to South Sudan. From Rwanda to Tanzania. Thank you all. The Ugandans living in the diaspora, joined by citizens of those countries have stood with us and we are profoundly grateful. Peaceful protests have been held in USA, Canada, the United Kingdom, Denmark, Sweden, Belgium, Germany and China. The message has been uniform- Free Uganda! I therefore appreciate you all and remind you that we have more work to do together. We have already seen that we can achieve a lot when we unite and stand together. The next thing I want to talk about today is about our struggle. Many people out there who may not be familiar with our country, may be wondering what we are up to. Some friends as well as some regime apologists in Uganda have been asking me why I do not give up, focus on my music career and earn a salary as a Member of Parliament, and live what they call a comfortable life. My message to them has been that I cannot claim to be free and comfortable when Uganda is not. When our people live in fear. When most of them live below the poverty line and cannot afford a decent meal a day. When the men, women and children of Uganda live under the yoke of repression. I cannot be comfortable until the youth in the ghettos of Kampala are comfortable. That is why we put on the red color- representing the blood which flows in our veins. Because we are one people. We are one Uganda. We believe not only in the freedom of Uganda, but the freedom of all oppressed people all over the world. That is the justification of the struggle we are involved in. We are the people and we believe that we have the power to shape our destiny. That is what the People Power movement is all about. People Power is the people. It is not Bobi Wine. It is not about me. I am just a Ugandan like any other. 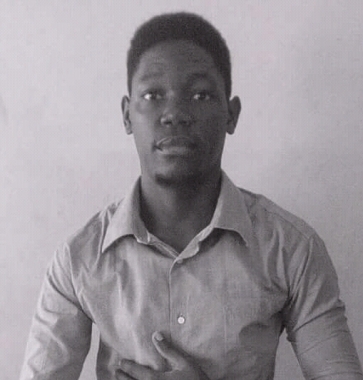 A Ugandan who desires to live in a better country. A Ugandan who has risen from the Ghetto and was very lucky to be elevated by the people to where I am today. And when I speak, their voice is echoed through me. People Power is the millions of young Ugandans who have gone to school, spent all their parents’ fortunes to get an education but cannot find employment. They have instead been marginalized in an economy that works for a lucky few. People Power are those young people who start primary one but drop out soon after because of poverty and lack. People Power is the 80% of the Ugandan population who have never seen another president in their lifetime. The young professionals- doctors, lawyers, teachers, engineers, etc. They are frustrated by the system, but their demands for a peaceful transition have always been met with brutal force from the state. People Power is the Ugandan people who have been yearning for democracy for decades. They know that they got a raw deal under the different regimes after independence and have been longing for the day they will be in charge of their country. People Power is the youth in the ghettos of Kampala. Year in year out, they have been promised a better life, and yet year in year out, their lives have only gone from bad to worse. Struggle is their life. People Power are the boda boda riders and taxi drivers. People Power is the millions of struggling poor women who live in our villages struggling to make ends meet. When their children fall sick, they do not find drugs in government hospitals. Some have mobilized themselves in small groups and have to contribute small monies to support each other in times of calamity. Hoping against hope every day for a better day. People Power is the ordinary citizen of Uganda who works so hard but does not earn enough from their sweat. The government instead imposes new taxes on them every day that passes. And the taxes collected are used to satisfy the greed of the few. People Power is the religious leaders under their umbrella Inter-religious Council of Uganda, who have been calling for a peaceful transition. The government has responded by rudely sending them back to the pulpit to preach about people’s spiritual and not physical needs. People Power are the elders such as Justice James Ogoola, Maggie Kigozi and John Nagenda who have been calling for deep reflection about the past and the future of our nation. People Power are the journalists who want to tell the story but are subjected to blatant brutality by the police and other security agencies. They want a country where they can practice their calling without intimidation. People Power are the thousands of Ugandans in Northern and Eastern Uganda who were displaced by war and violence. For most of them, their future was completely shattered even as they struggle to redefine it and the present conditions will not let them. People Power are the artistes, comedians and other entertainers who are saying enough to oppression, suppression and exploitation. People Power are the soldiers and police officers who have had the honor of putting on the Ugandan uniform with our badge. Those thousands who keep awake at night to keep our nation safe and yet earn peanuts at the end of the month. Every once in a while they are given orders to torture and harm those who they are meant to protect. They too are People Power because they have the same blood as the rest of us. People Power are the millions of other young Africans living on the continent and the thousands who are scattered in other continents to look for opportunities which their own mother land could not give them because of bad governance. When you hear me speak therefore, you are listening to millions of voices crying for freedom and justice. I Bobi Wine therefore speak for those people. I say on their behalf that People Power is stronger. It will win in the end. They could eliminate some, but they will never eliminate all the people. And what do we hope to achieve? Our hope is to build a new Uganda. We hope to build a country which works for everyone. Where opportunities come to all regardless of their history. Where unity reigns and we no longer live in a deeply divided nation. And yes, where a former president can live peacefully in the country without any fear. This is what we the people of Uganda are working for. Uganda is not looking for another strong man. It is looking for the People themselves reigning supreme. Where leaders are true servants of the people and not vice versa. We are not giving up. We are not relenting. We understand the challenges which lie ahead, but we know that in the end the people shall win. Therefore I Bobi Wine call upon the world to stand in solidarity with us and with those who have paid the price working for a better country. We are grateful for the help we have for many years received from development partners. You have supported our efforts to end the HIV/AIDs scourge and you have supported our education. You have supported our troops at home and abroad. Thank you for standing with Uganda. The time is now to associate with the hopes and aspirations of the people of Uganda. To identify with the oppressed and not the oppressors. The choice is clear. Bobi Wine Holds A Washington DC Press Conference! Dr Hilderman Gets A Baby Boy Whom He Named After Bobi Wine! Previous: How Diamond Platnumz Was Accused Of Bewitching Wema Sepetu!